All Purpose Spray & Wipe: 3 Tbls white vinegar, 1/2 tsp Washing soda crystals, 1/2 tsp Natural Liquid soap, 2 Cups Hot water, Spray bottle. Mix all ingredients into spray bottle & use on countertops, sinks, tubs & tiles. Shower spray to reduce soap scum: 1 cup apple cider vinegar, 1 Tlbsp Natural Liquid soap, 10 drops Tea tree essential oil, 10 drops lemon essential oils. Mix all ingredients into a spray bottle. Use in shower, also can be used for appliances, mirrors, windows & in dishwasher as a rinse aid. Floor Cleaner: 1 cup white vinegar, 1/4 cup washing soda crystals, 1 Tblsp natural liquid soap, 8 litres hot water. Toilet Cleaner: A squirt of Natural Liquid soap, 1 Tlbsp Baking soda (bi-carb). simply pour both int toilet bowl & scrub with brush as normal. Oven Cleaner: 1.2 ltrs Warm water, 2 tsp borax, 2 Tlbsp Natural Liquid soap, Mix in spray bottle & spray on inside walls of oven, leave on for 20 mins. Clean with cloth then rinse with clean water. 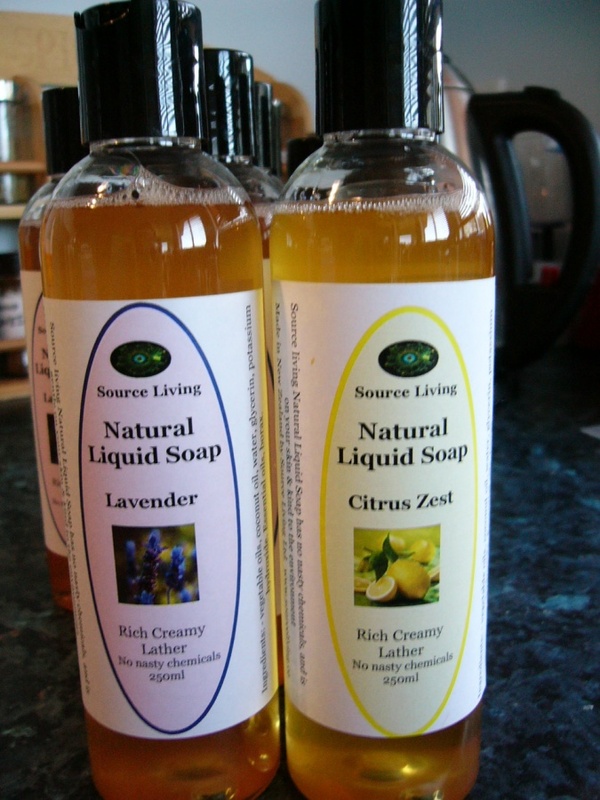 Natural Bleach alternative: 1 cup Natural liquid soap, 1/3 cup fine salt, 1/2 cup Baking soda, 10 drops tea tree oil. Mix in 4 ltr of hot water & once cool pour into bottles. Use as you would bleach. Glass Cleaner : 250ml white vinegar, 1/4 tsp Natural liquid soap, 250ml Warm water, 2 drops lemon essential oil. Combine in spray bottle, shake before use. Laundry Powder: Per load 1/4 cup borax, 1/4 cup washing soda crystals, 1/4 cup Source Living grated soap base. 2 drops eucalyptus oil. Melt all ingredients in a little hot water before adding to wash.
Dishwasher Powder: 1/4 cup citric acid, 1/4 cup salt, 1 cup baking soda, 1 cup washing soda crystals. 2 -4 drops lemon essential oil.Combine in bottle or container. shake before adding required quantity to dishwasher. Mould & Mildew Cleaner: 120g Borax, 500ml Hot water, 1/2 tsp Tea Tree essential oil. Mix in spray bottle & spray on to bathroom tiles & areas affected with mildew.